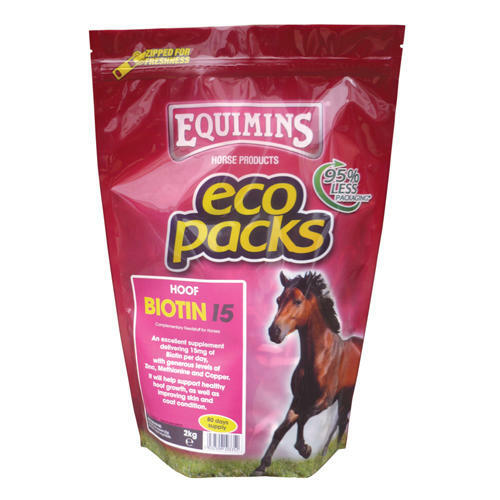 Equimins Biotin 15 Horse Hoof Supplement is a supplement for healthy hoof growth and to improve the condition of coat and skin. Contains zinc, methionine, calcium, MSM and copper. Contains no banned substances under Jockey Club and FEI rules.